Ehren Tool, profiled in our SERVICE episode, recently participated in our partnership with Fairfax High Visual Arts Magnet. 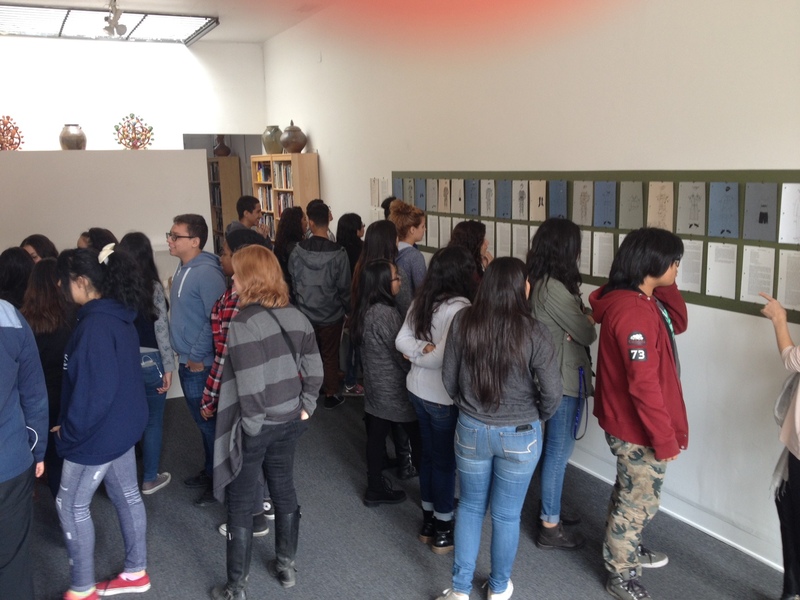 On November 13th, students from Kelly Cohen’s sculpture classes paid a visit to the Center for a conversation with Ehren. 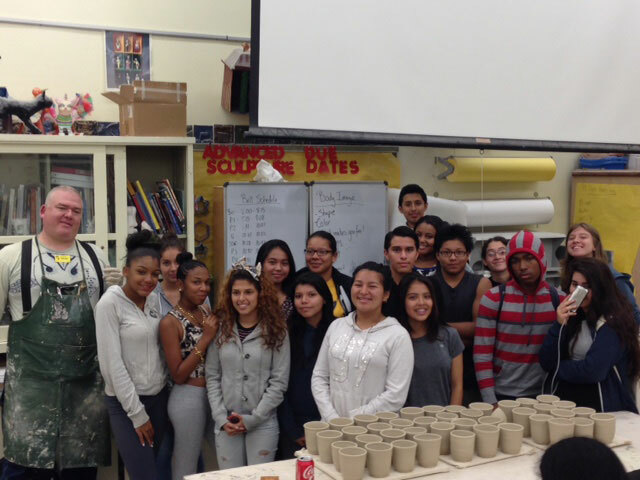 They came prepared with questions both challenging and thought-provoking: Why cups? What emotions come up in the process of making them? Why does he give them away instead of sell them? 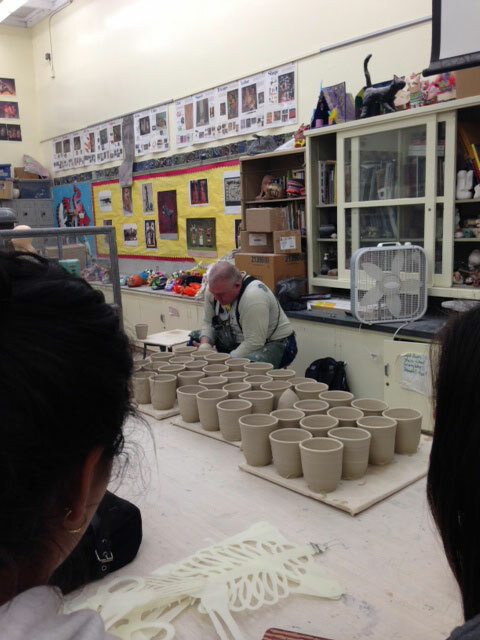 The following day Ehren visited Fairfax High (coincidentally his alma mater) for three sessions of wheel-throwing with Ms. Cohen’s students. He was a huge hit. 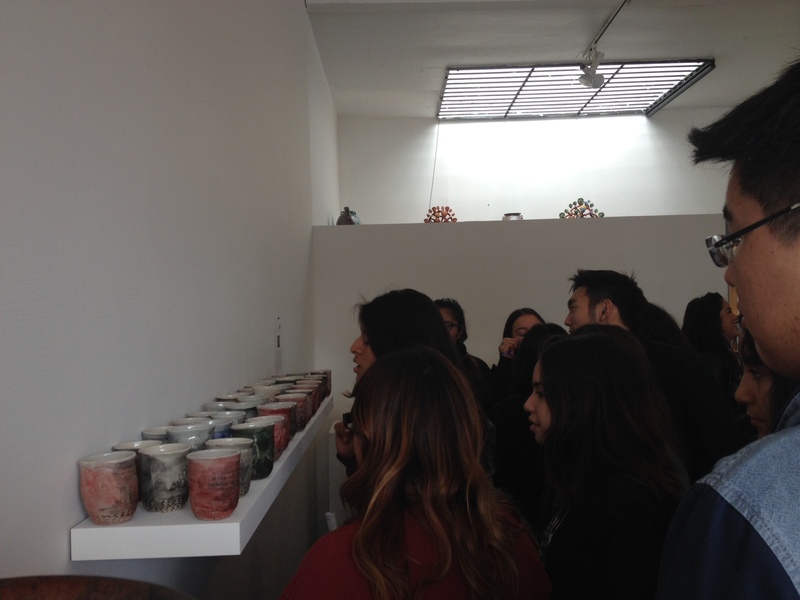 He threw cups while giving a slide presentation — no easy feat — and the students asked insightful questions throughout. As a follow-up, Ms. Cohen is having them bring in objects that they care about to make pressed decorations that emulate Ehren’s approach. We’re all looking forward to seeing what they make. Ehren and the Sculpture students. Ehren is a master and throwing and talking at the same time.